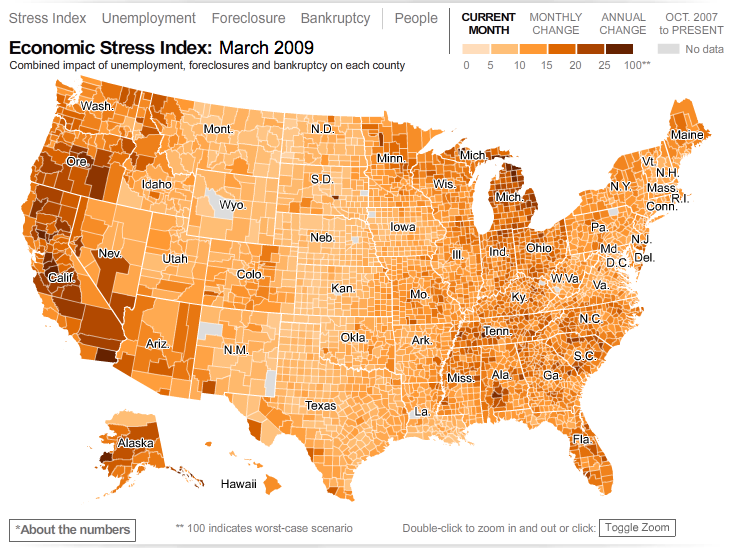 Click on the image below to see where the recession is hitting the hardest. Overall, things seem to be worst in Michigan/Ohio/Indiana, parts of the Deep South, and the interior portions of California and Oregon. Still, it's bad pretty much everywhere. The country's foreclosure problems are much more localized.